There’s an urban legend in my hometown about a black hooded fiend that lurks about the many empty corn fields, under the light of a full moon, on crisp fall nights. The stories about this horror claim that long before the area was settled, Native Americans told colorful tales around the fire, of an entity who lived under the lakes of Northern Indiana. Those who saw this beast (and lived to talk about it) described the creature to resemble a skeleton, donned in black robes, and wielding a cruel scythe. Over his bag hung a burlap sack filled with glowing green orbs. These were the souls of his victims! It was the thirst for those souls that causes him to rise from the below the waters every October and find new people to devour. This monster is referred to as the “Soul Taker” (very original, I know). This silly story is retold every Halloween to draw local patrons to the haunted attractions at the fairgrounds. While navigating the twists and turns of the haunted maze, some thrill seekers might experience a frightful encounter with the Soul Taker himself! Rather scary until you realize that it’s just a guy dressed up in a costume and makeup. This demonstrates how the concept of the soul (and the paranormal in general) has widely been fictionalized by the secular world and has become something that is used for out entertainment, rather than being accepted as a reality. So what exactly is a soul? Upon hearing that word, you may conjure up mental images of ghosts with translucent bodies and thin wispy tails, like Caspar. Or perhaps you picture bright glowing lights balls of light or some other Hollywood interpretation. Today, we will be discussing the soul and hopefully will gain a better understanding of what a soul actually is and its importance. This is an essential step for achieving victory in our upcoming battle with the monsters that lurk all around us. If you will recall in the first part of this series, we identified the human being to be made up of three core parts: body, mind, and soul. We also identified that soul is the dominant player in that trilogy. The health of the body and mind revolve around the health of the soul. So what exactly is the soul? To put it simply, your soul is you. Humanity is the co- existence of the mortal and immortal bound into one creature. We are the only example of this phenomenon in the universe. How does this work? Well, our physical bodies are very much mortal and imperfect. Our bodies are born, they grow old, stop working, and die. But only our bodies die. You yourself are immortal. You will always be alive somewhere. Right now your alive in a mortal form on Earth. Your body and soul are together in one place. But all too soon they will be separated and one will die while the other will live on. Picture yourself walking through an endless meadow in the middle of summer. You are very young and your holding hands with someone. Upon seeing the face of your companion, you are startled to find out that they look exactly like you! You start your walk with this lookalike stranger at daybreak. You and the other you are both children, but you both grow into adulthood by the time the sun reaches the top of the sky. As the day passes on, the mysterious doppelganger begins to change. Their skin wrinkles and hair begins to fade to gray. They begin to struggle to keep up. You however remain as young and strong as ever. As the sun sinks slowly in the east, the aging you on the left, softly lets go of your hand. You both smile and nod at one another as old friends with an unspoken understanding, and then you walk bravely into the fading light leaving your tired other self behind forever. This represents the relationship that we have with our human bodies. We are together for a short time and then we will part ways. We ourselves are immortal and will never die. Our human bodies however grow tired, sick, age and die. We are not our bodies. We are our souls. The era of co- existence between the body and soul is short, but the soul will live forever. Our immortal souls are the target of the demonic forces that we are at war with. They, like the fabled Soul Taker, wish to seize our souls and seal them in the pit of Hell forever and ever. We already know why they desire this. As we discussed earlier in this series, dooming as many as God’s children as possible is the sadistic revenge scheme devised by those rebellious God-wannabees from the dawn of time. Remember, you are the only way that the Devil can hurt God. The monsters of this world have little interest in our physical bodies (except to use as a vessel to inflict pain upon us). They understand that our physical forms will pass away in a short time with or without their involvement. It’s the fate of our spiritual bodies that they care about. Okay so we have covered the body and soul aspect of the human trinity, how does the mind play into this? The mind is essential! If you have ever seen the old Star Trek TV series, you may remember that many of the scenes took place on the control bridge of the starship, Enterprise. From the bridge, the captain could control everything from raising or lowering the shields, to launching torpedoes. The flight controls were also located on the bridge. In some episodes, evil alien races would board the ship and seize control of the bridge. They knew if they took control of the bridge, the ship was theirs. Your mind is like the control bridge of your body and subsequently, your soul. Knowing this, the Devil normally launches his first wave of assaults on the battlefields between your ears. If our enemy can break our minds, then he will have access to our bodies and souls. The Bible instructs to “be alert and of sober minds” and also warns us that the Devil prowls around like a roaring lion, looking for someone to devour (1 Peter 5:8). We have already discussed the likely connection between mental illnesses (such as depression and anxiety) and spiritual health. If the enemy can weaken our minds into a state of perpetual distress, then we will be easier to concur. So what exactly is the difference between your mind and your brain? The brain is a organ provided to us by God, that is essential in our time as humans. The mind is the outlet of the soul. Your mind is not bound to your physical brain. I believe that after you die, you will be able to recall your human life and every memory that you ever had perfectly fine without your physical brain. Remember our analogy of the body and soul walking side by side through a meadow? Now think of that as your physical body and your spiritual body. While memories and emotions are stored and processed by your physical brain, they are also “downloaded onto your spiritual brain”. It’s like a supernatural cloud server! Next time, we are going to head back to the dawn of time once more and revisit the fall of man. We need to understand what the fall meant then, and how it relates to us today. 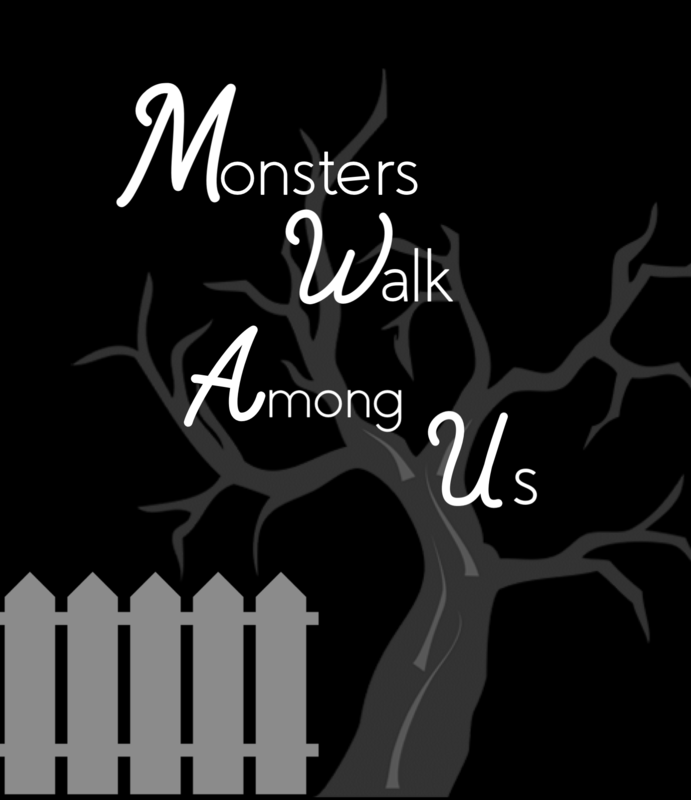 So far, it may seem like the monsters have the upper hand in our struggle. But hang in there. I feel the tides about to turn in our favor.